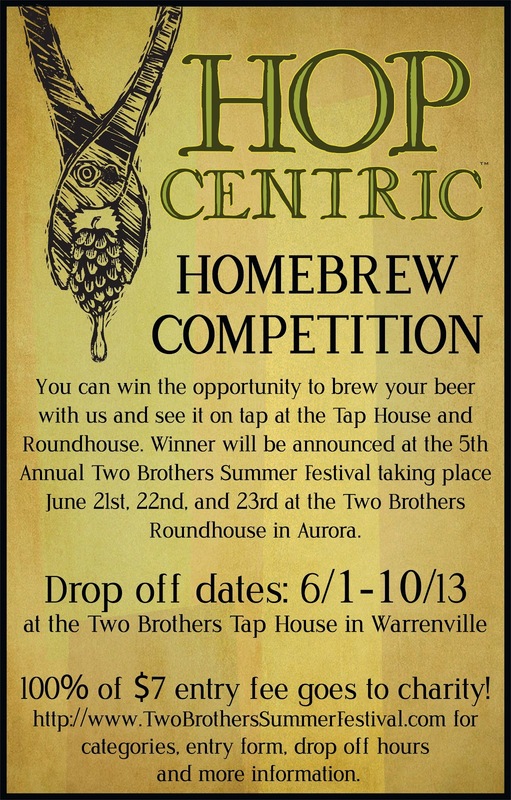 Two Brothers Brewery is calling for entries in the 5th annual home brew competition. They are looking for the best balanced, hoppy beer. The winner gets the opportunity to brew their recipe with Two Brothers and see it on tap at the Tap House and Roundhouse. Winner will be announced at the 5th annual Hop Juice Festival taking place June 21st, 22nd, and 23rd at the Two Brothers Roundhouse in Aurora.